Two new housing data reports find fewer people seeking out home loans and more homeowners having a diminished view of their properties’ value. The Mortgage Bankers Association reported that its Market Composite Index decreased by 5.6 percent on a seasonally adjusted basis for the week ending April 5 compared to the previous week. On an unadjusted basis, the Index decreased by five percent compared to the previous week. Both the seasonally adjusted and unadjusted Purchase Index increased by 1 percent from one week earlier, with the latter 13 percent higher than the same week one year ago. The unadjusted Refinance Index decreased by 11 percent from the previous week while the refinance share of mortgage activity decreased to 44.1 percent of total applications from 47.4 percent the previous week. Among the federal programs, the FHA share of total applications increased to 9.6 percent from 8.8 percent the week prior and the VA share of total applications increased to 11.1 percent from 10.4 percent while the USDA share of total applications remained unchanged from 0.6 percent. "Mortgage rates inched back up last week, but remain substantially lower than they were in the second half of last year," said MBA Chief Economist Mike Fratantoni. "As quickly as refinance activity increased in recent weeks, it backed down again in response to the rise in rates. However, this spring's lower borrowing costs, coupled with the strong job market, continue to push purchase application volume much higher." Separately, Quicken Loans reported that homeowners' average estimate of their home's value stayed consistent in March while appraised values were down. Last month, the average appraisal was 0.78 percent lower than homeowners expected, according to Quicken Loans' National Home Price Perception Index (HPPI), compared to the previous month when appraisers' opinions were 0.50 percent lower than what owners estimated. 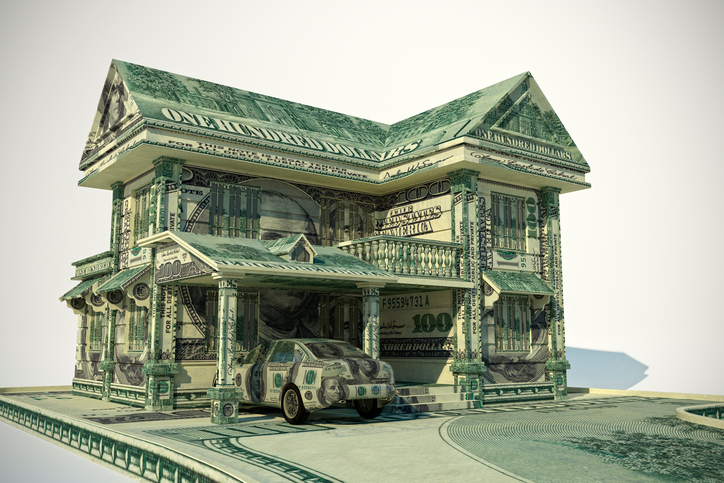 Quicken Loans’ National Home Value Index reported appraisal values dipped 0.20 percent from February to March. Home values continued to grow annually, rising 3.37 percent year-over-year. This is slower than the February activity, when appraised values rose 5.47 percent year-over year.